Why don't beans burn on the grill? And why would you be grilling beans in the first place? Such mysteries from The Jeffersons are addressed (if not answered) in Apartments.com's Super Bowl ad. In the 60-second spot from agency RPA, the site brings back Jeff Goldblum's satirical Silicon Valley guru character, Brad Bellflower, who serenades us with a loungy take on The Jeffersons' iconic theme song, "Movin' On Up." 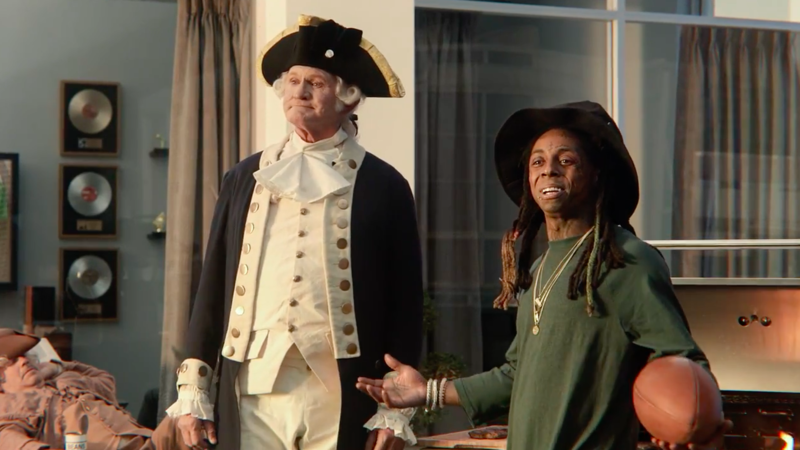 Since both of the stars from the 1970s-80s sitcom passed away years ago, we're treated instead to a new "George and Weezy," this time in the form of George Washington and rapper Lil Wayne.